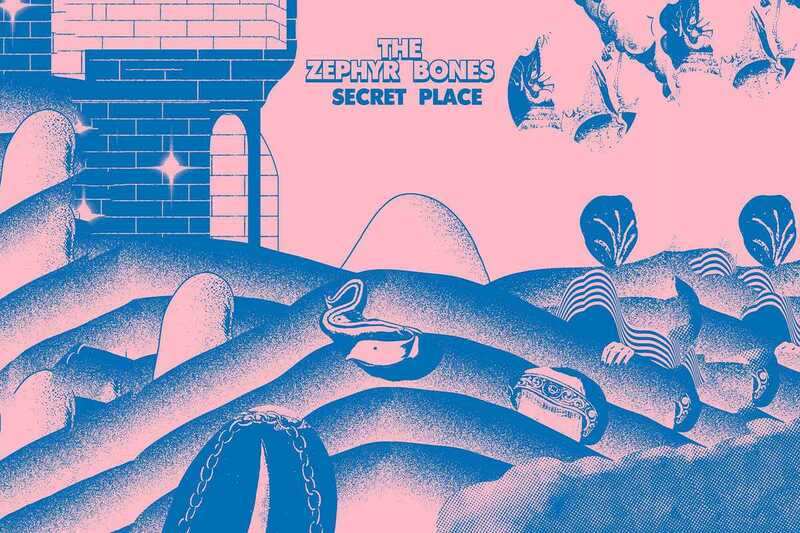 Psychedelic riffs and a tidal wave of synth pop on The Zephyr Bones’ long-awaited LP will gently rock you away to their Secret Place and serenade you ‘til you’ve fallen into a dreamy lust. In a haze of well-rounded sounds, their songs move between icy, jagged cliffs and a narcotic, Martian landscape, embodying adolescent melancholy through oniric ballads and ankle-twisting hits. Even a guy as tough as Machete has had to surrender to this impeccable debut album, featuring in their new video for the beach wave, summer anthem “The Arrow of our Youth.” Just returning from 20 shows on a US tour and smashing it at SXSW, catch them regularly around Barcelona. Or if you want to chill and watch the rain on your window pane it’s ok too – sail away to Mars, feel for a loved one or for that summer that ended too soon. These four groovy boys come with La Castanya’s seal of approval, so just give them a listen, and you’ll understand what all the fuss is about.